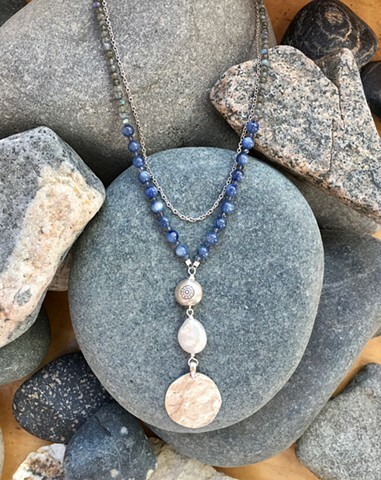 Kyanite mixed with 2mm labradorite strand, accented by zinc pendant with fresh water pearl and fine silver bead. Delicate silver chain added subtle layer effect (option to purchase without this chain). Sterling lobster claw closure with 2" sterling extender chain. Approx. 17-19"